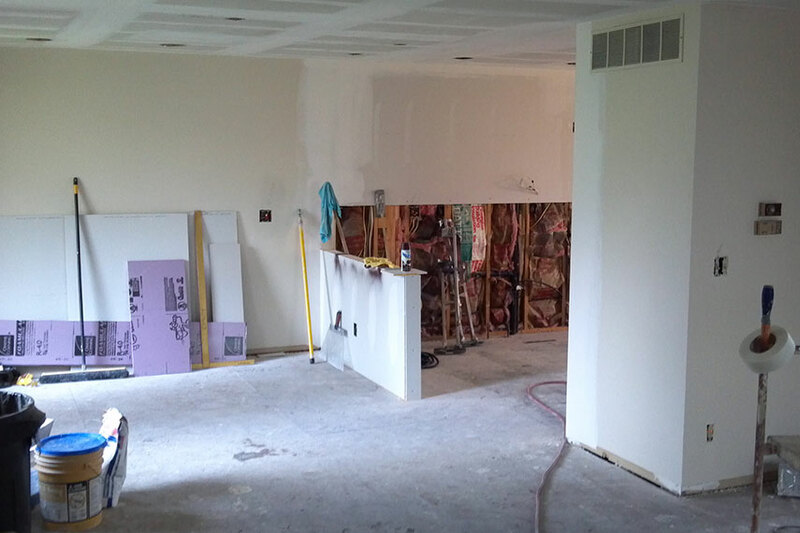 Before – The Starting Line, a clean slate. 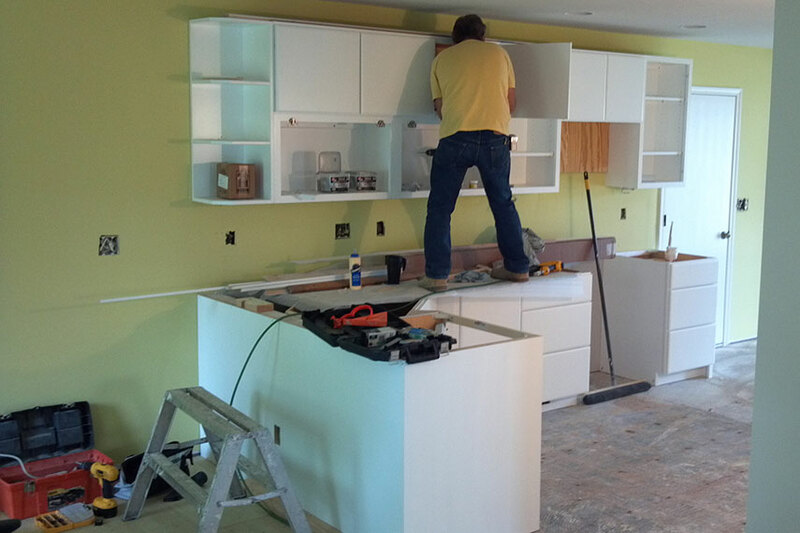 Before – We partner to plan your Persona, then step back while we swing the sledges! 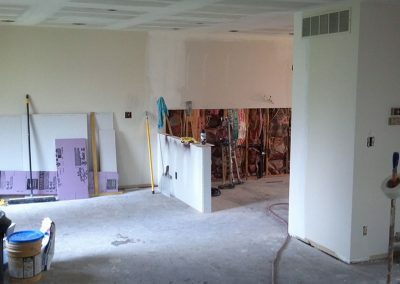 Before – The last look at the past, and the canvas for the future. 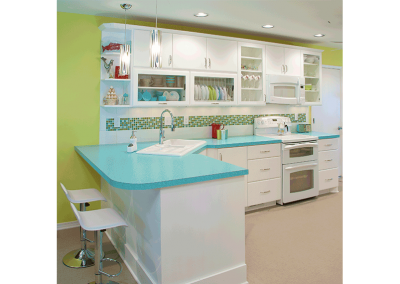 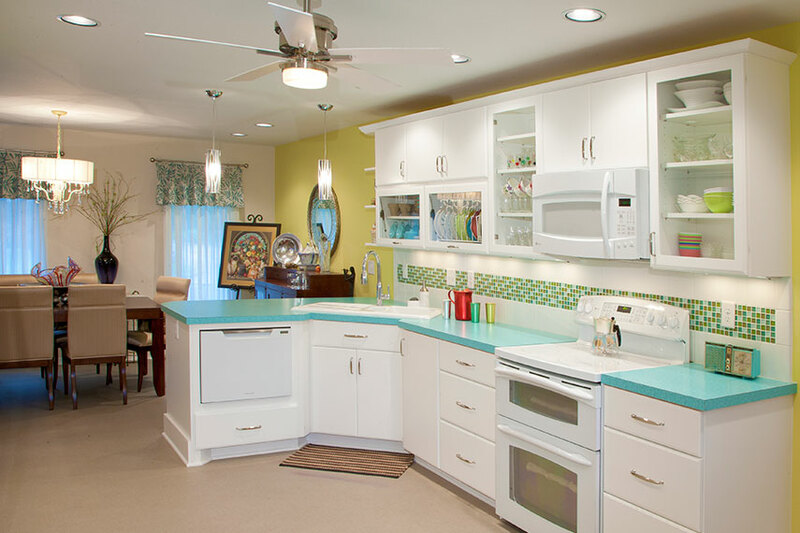 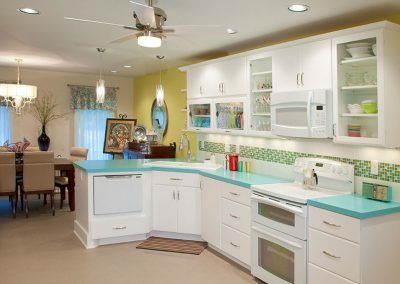 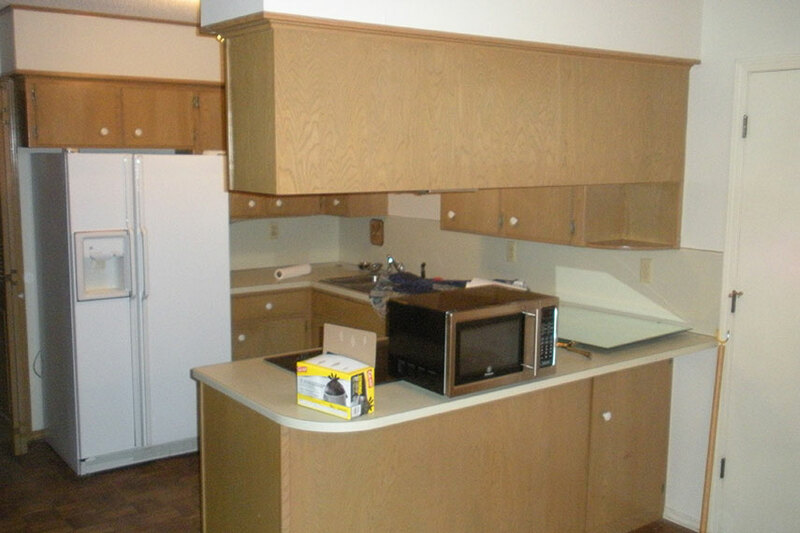 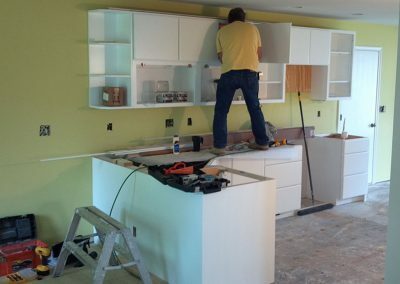 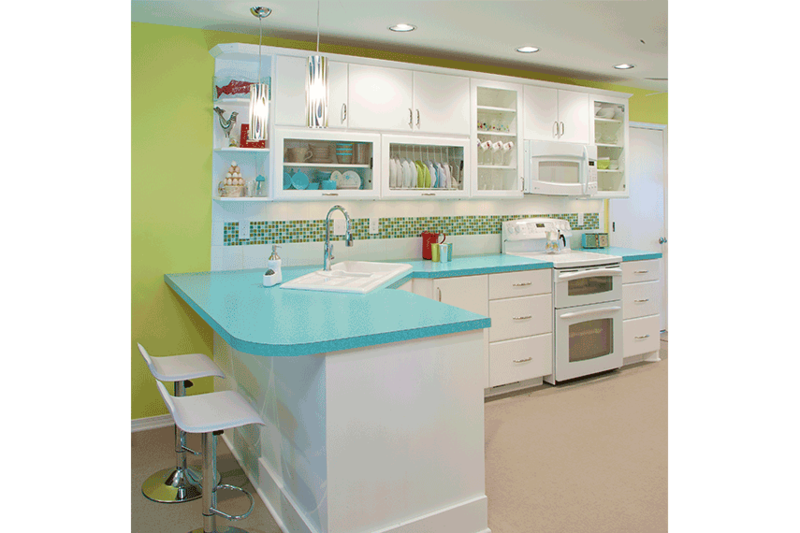 The retro blue boomerang countertops were a great find to tie this kitchen design together. 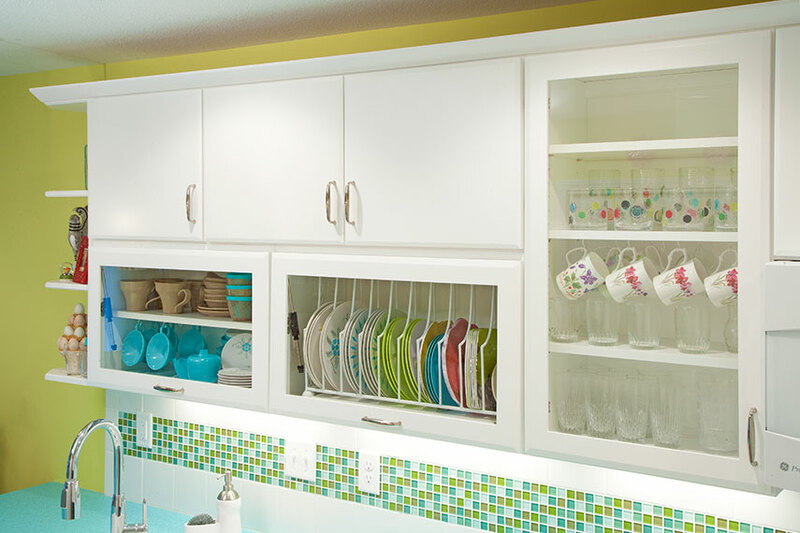 These glass kitchen cabinets keep the space open and airy. 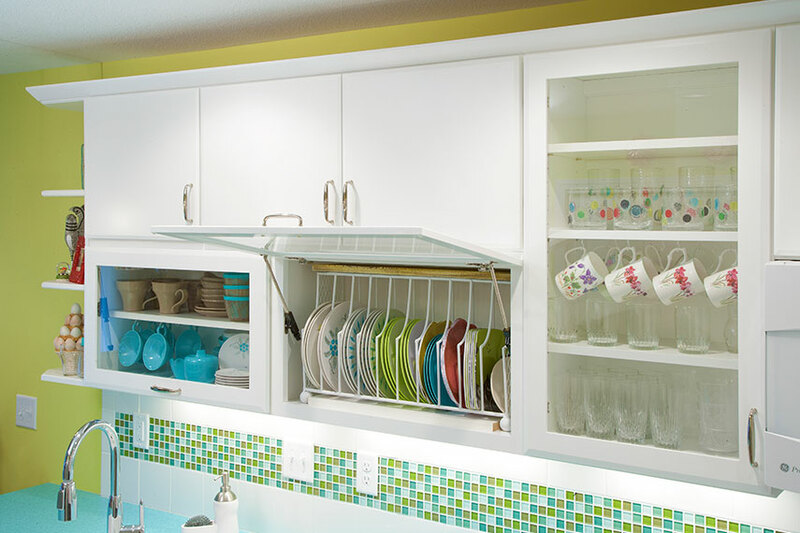 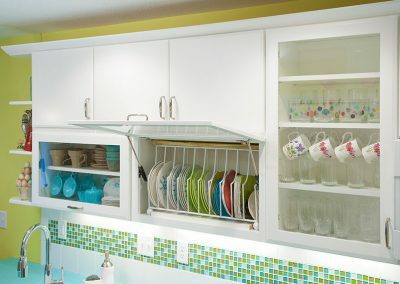 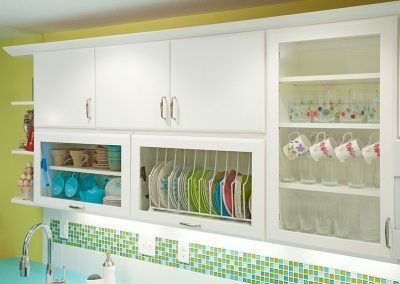 These soft-closing lifted cabinets are great for storage. 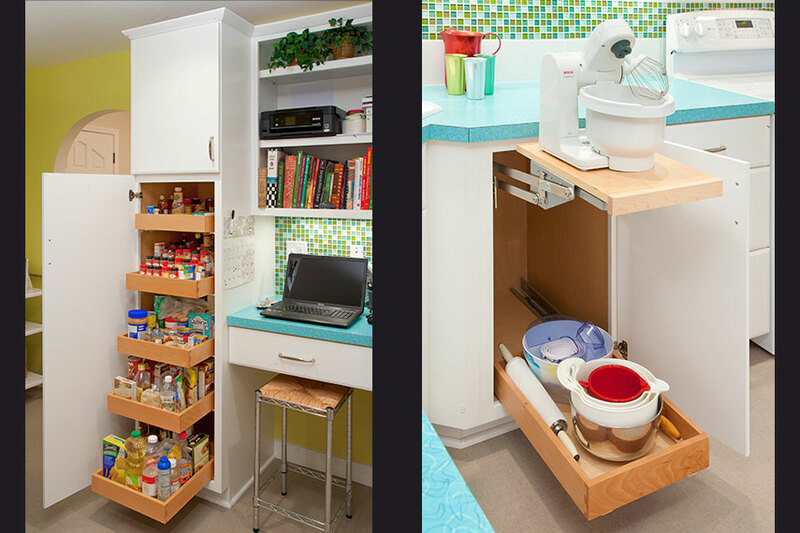 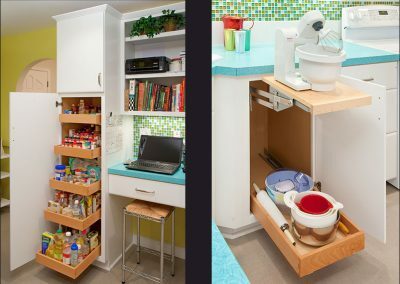 Custom storage space makes this kitchen just as functional as it is fashionable.